I am a pop up restaurateur. For the last 3 weekends in August, I’m turning the old Fatty’s in Eagle Rock in to the best place for smokin’ vegetarian fare and great wine at fab prices. the menu is posted online, and aside from the egg and dairy dishes, it looks delicious. 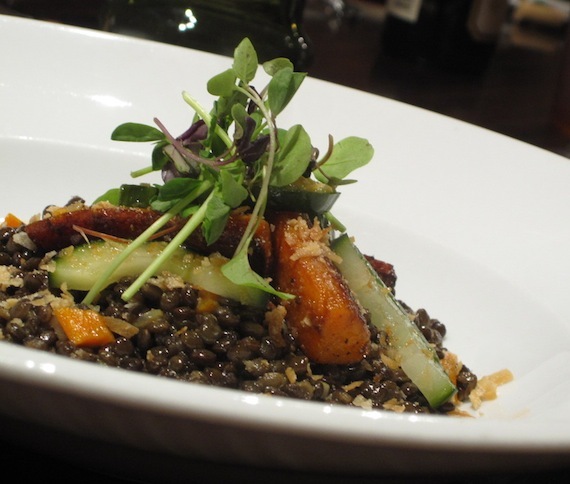 vegan options are available by request, so just specify that’s what you’d like when making your reservation. the dinner will be available as a tasting menu ($44 for 5 courses) or a la carte items ranging from $6-$15 with an optional wine pairing for $20. seating times are friday through sunday at 6, 7:30 and 9pm. for more info or to make a reservation in august, call charlie puffer’s at 323-254-8804. the recording is out of date right now, but you can still leave a message. good luck! We just started our LAST WEEKEND! Tomorrow and Sunday night we are open 6 to 10pm. And then we close up shop. Stop by and have some food and wine.